My good self has already got the presents for my closest friends. As usual yours truly is playing it safe with tins of biscuits. After all surely that’s the safest gift of all as the recipient is unlikely to be upset at receiving them and they are cheap too. Naturally all my presents were all purchased in Marlow. Indeed regular readers will know that I have all but given up with the shopping experience in Wycombe. The other day, while on my regular lunchtime walk around Wycombe town centre, my good self paid special attention to the efforts made to make Christmas special in High Wycombe. Walk into many of the town centre shops and, apart from a few decorations and festive special offers close to the door, you would hardly know it was Christmas. The lights in the High Street are the same old lights we have seen for years. Stretched across the street like a prisoner being tortured on a medieval rack they have come to symbolise everything that’s wrong with modern day Wycombe. Then there are the supposedly ‘homeless’ people who frequent White Hart Street in High Wycombe. From what my friends tell me if they’re not sitting on the pavement begging for money they are in the nearby betting shops gambling or smoking recreational drugs in the street whilst leaving their begging paraphernalia in situ ready to return and fleece yet more passers by. Yours truly has even heard friends speak about prostitutes frequenting White Hart Street soliciting for business as potential punters pass by. 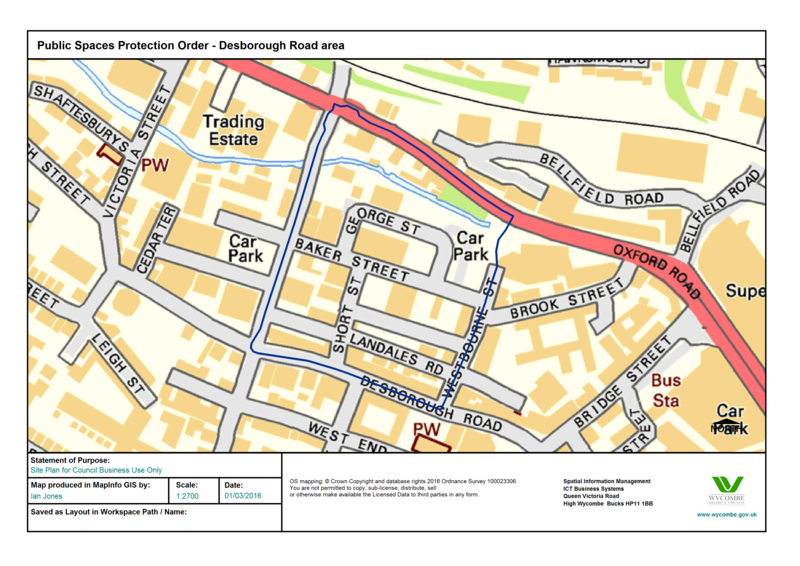 Sadly the boundary of the Desborough Road anti-prostitution Public Space Protection Order (PSPO) is in Westbourne Street. Maybe the PSPO needs to be extended to cover the whole of High Wycombe and the town centre too? But look at what other towns are doing. A few weekends ago Aylesbury hosted a Christmas Craft and Gift Fair in the town centre. During November and December 2018 Aylesbury also had four ‘free parking’ days in their municipal car parks, albeit after 3.30pm on a Wednesday, as well as five ‘free parking Sundays’ in their Walton Street Car Park. Sadly Wycombe had just two free parking days close to Christmas both of which have now passed. Is it any wonder my good self did my Christmas shopping in Marlow? Yours truly is left wondering how many people actually did their Christmas shopping in Wycombe this year? Wycombe is a town of great opportunity yet sadly it seems that many issues need addressing before our town becomes competitive with neighbouring towns.